Breaking News, a dog has just been spotted around Queens park. 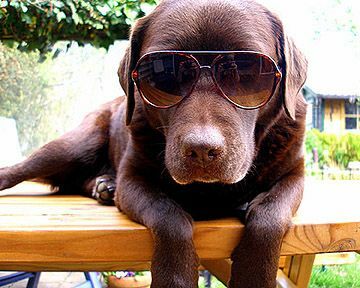 The dog was brown Labrador about a 5-year-old dog wearing glasses and a suit. It has been confirmed to be a I people not to approach this creature as it has already attacked and injured three people, a 43-year-old woman, a 23-year-old man and a 12-year-old boy. This is a strange and sad tragedy. If anyone sees this dog could they please call 000 immediately National reporter Ethan Haigh signing off.